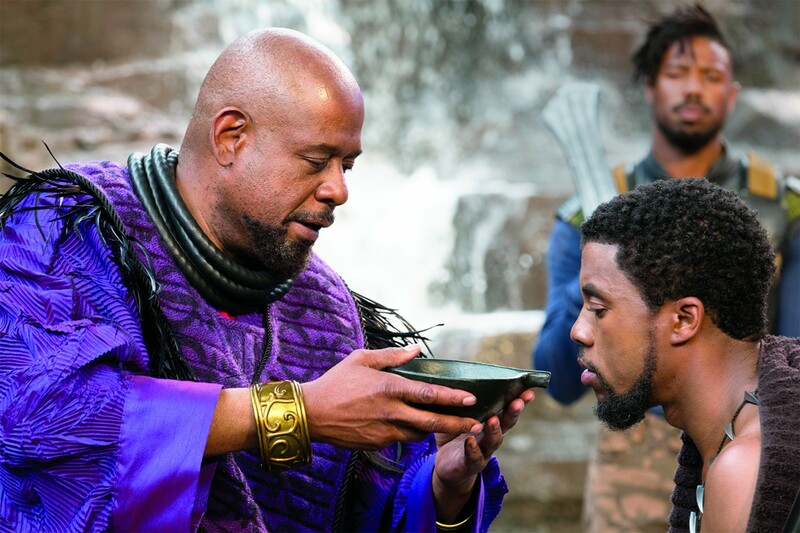 PRESS RELEASE Black Panther returns to the big screen with free screenings at nonprofit art house theaters nationwide on Tuesday, November 27 at 4:00pm PT/7:00pm ET. Presented by Film Comment, a publication of the Film Society of Lincoln Center, and supported by the Art House Convergence, the event will feature a post-screening Q&A with director Ryan Coogler, taking place at the Christopher B. Smith Rafael Film Center in San Rafael, CA, streamed live to participating theaters. A full list of theaters can be found below. Check local theater listings for more details. The one-night-only event offers audiences an opportunity to experience the acclaimed film on the big screen once again with their local communities. Leading up to and during the Q&A, attendees are invited to submit their questions to Ryan Coogler on Twitter with the hashtag #AskBlackPanther. All attendees will receive a free one-year digital subscription to Film Comment magazine. Coogler, director and co-writer of Black Panther, was featured on the cover of Film Comment‘s March-April 2018 issue with a story by Devika Girish. Nicolas Rapold, the magazine’s editor-in-chief, will moderate the discussion. Published since 1962, Film Comment magazine features in-depth reviews, critical analysis, and feature coverage of mainstream, art-house, and avant-garde filmmaking from around the world. Today a bimonthly print magazine and a website, the magazine was founded under the editorship of Gordon Hitchens, who was followed by Richard Corliss, Harlan Jacobson, Richard Jameson, Gavin Smith, and Nicolas Rapold. Past and present contributing critics include Paul Arthur, David Bordwell, Richard Combs, Manohla Dargis, Raymond Durgnat, Roger Ebert, Manny Farber, Howard Hampton, Molly Haskell, J. Hoberman, Richard Jameson, Kent Jones, Dave Kehr, Nathan Lee, Todd McCarthy, Jonathan Rosenbaum, Tony Rayns, Frank Rich, Andrew Sarris, Richard Schickel, Elliott Stein, Amy Taubin, David Thomson, Richard Thompson, Amos Vogel, Robin Wood, and many more. The idea of the Art House Convergence was born when a group of exhibitors were brought together at the Sundance Film Festival as part of the Sundance Institute’s Art House Project. For two years, this small group of exhibitors met at the Sundance Film Festival to discuss independent film and independent film exhibition. In 2008, the group expanded and hosted the first Art House Convergence conference with 25 attendees. In 2018, over 640 exhibitors, film festivals, and allied organizations joined for a sold-out Annual Conference in Midway, UT. The Art House Convergence, having grown into a year-round organization, relies on several staff members and a passionate group of volunteers to help coordinate all of its events and programs, always striving to reflect its core intention, community-based, mission-driven. The upcoming 2019 Annual Conference will be held January 21-24 in Midway, UT before the start of the Sundance Film Festival. This entry was posted in Free Screenings, Midwest, Northeast, South, West and tagged black panther, film comment, Ryan Coogler by Melissa Hanson. Bookmark the permalink.